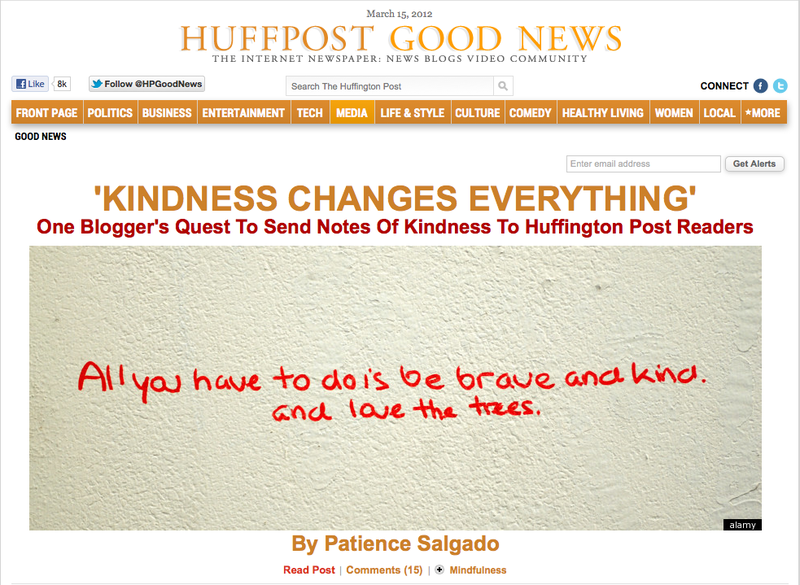 Seeing KINDNESS CHANGES EVERYTHING in bold is making my heart swoon this morning…my latest post for the Huffington Post made the front page of the Good News section and the main front page…and the requests for encouragement are pouring in. If you want to help write, shoot me an e-mail at patience@kindnessgirl…or if you need a note, please do the same. We may put out a call for postage stamps if this thing gets super crazy! I am so touched that audacious kindness is working…it’s where we are headed friends. Together.